One trial date has thus far been set for an Artesia man charged in two separate homicide incidents from 2015 and 2016. Daniel Aguilera, 22, was most recently charged Dec. 21, 2016, with the Dec. 20 murder of Otis Chavez, 22. At the time, Aguilera was in an El Paso, Texas, hospital, having suffered two gunshot wounds to the torso in the incident. He was placed under custody there on charges of one count of murder in the first degree, a second-degree felony count of aggravated burglary, and a fourth-degree felony count of aggravated assault with intent to commit a felony. Artesia police announced this afternoon that Aguilera was released from the hospital last week and returned to New Mexico to face not only those charges but charges of second-degree murder and aggravated battery with a deadly weapon relating to the July 5, 2015, shooting death of Andres Rojo, 27, and the injury of Rojo’s brother, Luis Rojo, 23. Aguilera was out on bond on those charges when the December shooting occurred. 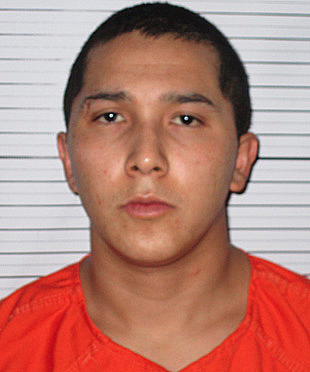 Aguilera is currently being held without bond at the Eddy County Detention Center. No trial date has been set for the Chavez murder. A trial date of April 3 has been set in the Rojo case.